Here are more customer rides that have received major suspension upgrades courtesy of CJC. We've listed some basic info about each truck to help give an idea of what these setups look like. This truck features a Carli Suspension 6" Performance 2.5 suspension system along with Carli Suspension Full Progressive Leaf Springs. 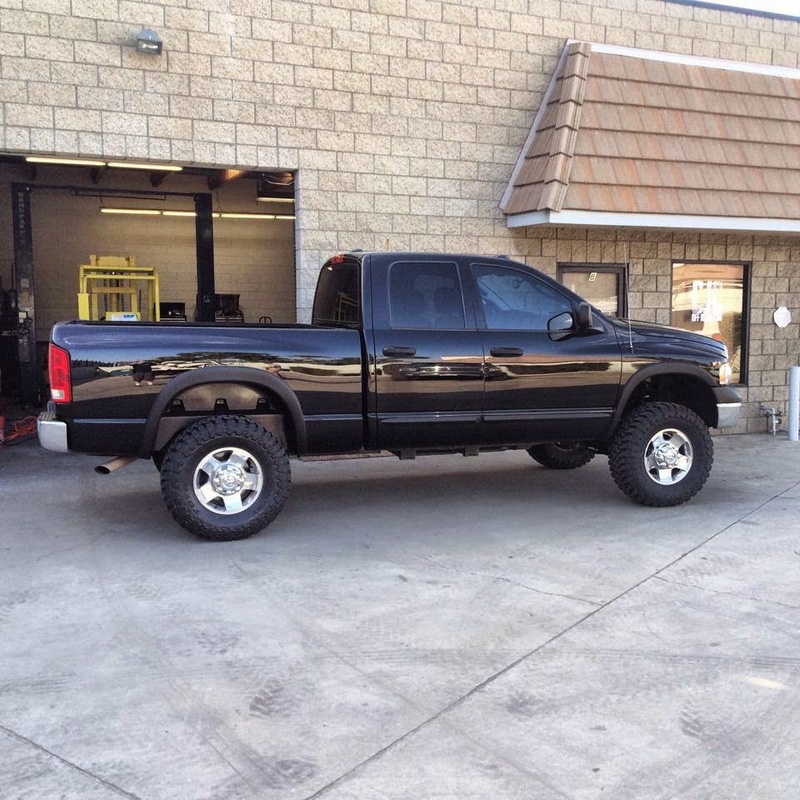 It is riding on BTR Racing 17x8 Simulated Beadlock Wheels, and Toyo Open Country MT 37x13.5x17 tires. This truck previously had a rough riding 8" lift kit. The difference between the old suspension's ride quality and the new one is night and day. This truck turns heads wherever it goes, tows a variety of toys, and rides in comfort whether on or off the pavement. 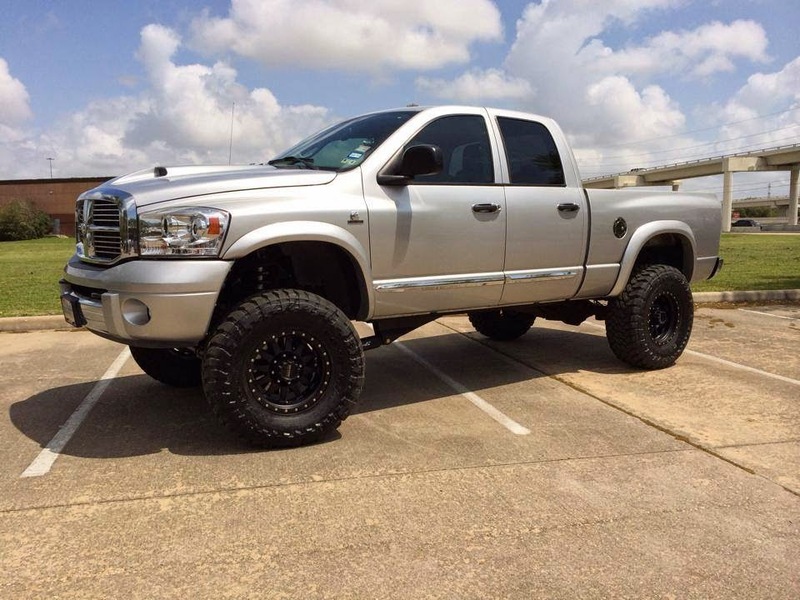 This 2011 Dodge Ram 2500 crew cab features a Carli Suspension Pintop 2.5 system, Carli Suspension Heavy Duty Control Arms, Carli Suspension Full Progressive Leaf Springs, Carli Suspension Torsion Sway Bar, Method Race Wheels 17" Standards, and Toyo Open Country MT 35x12.5x17 tires. This truck gets used daily on oil fields and required a suspension system that provides improved ride quality on unpaved roads in addition to long-term durability. 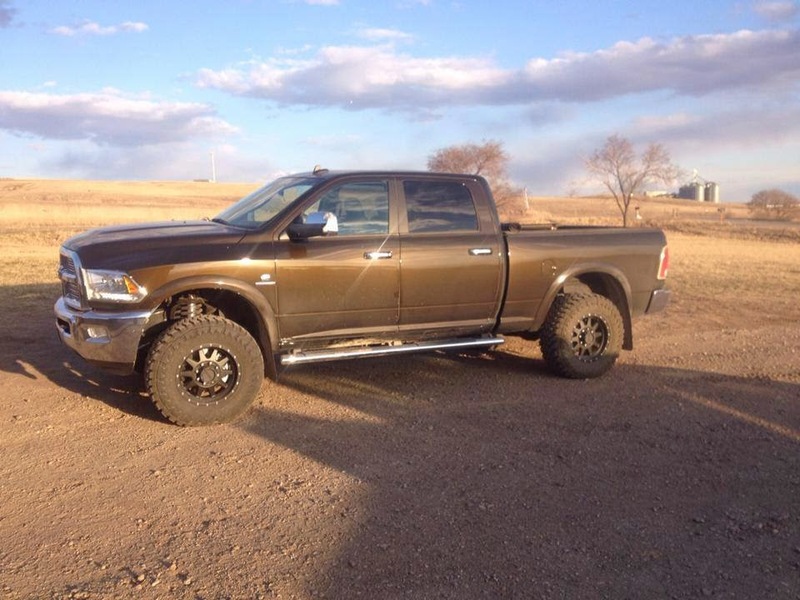 This 2006 Dodge Ram 2500 features a Carli Suspension 6" Pintop 2.5 system, Carli Suspension Full Progressive Leaf Springs, Carli Suspension Torsion Sway Bar, Method Race Wheels 17" Double Standards, and Toyo Open Country MT 37x13.5x17 tires. The owner wanted to replace the worn out factory suspension underneath this truck while improving ride quality and durability. This truck now looks, performs, and drives better than new! After the suspension was installed, this truck received an improvement in the lighting department courtesy of Baja Designs. 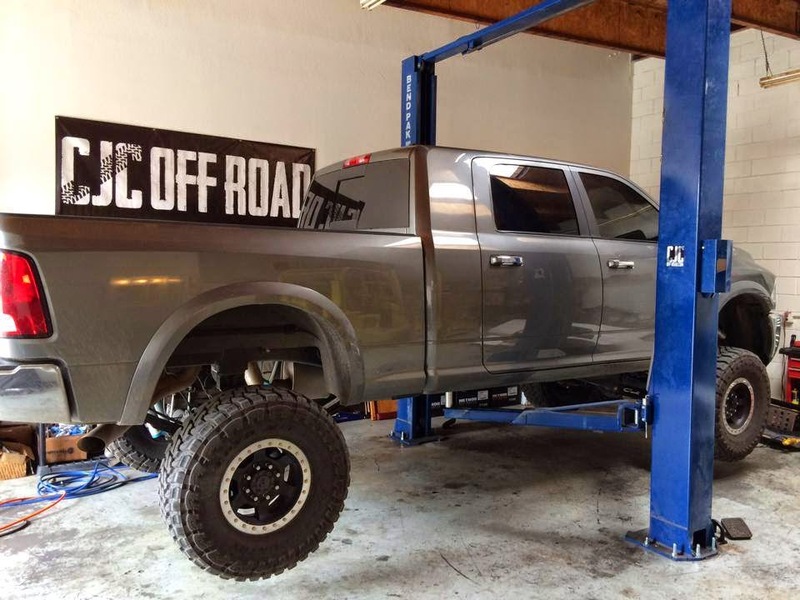 A Baja Designs 7 Cell 51" Onx Pro LED light bar is mounted to the roof using our CJC Off Road 50" OnX Brackets. 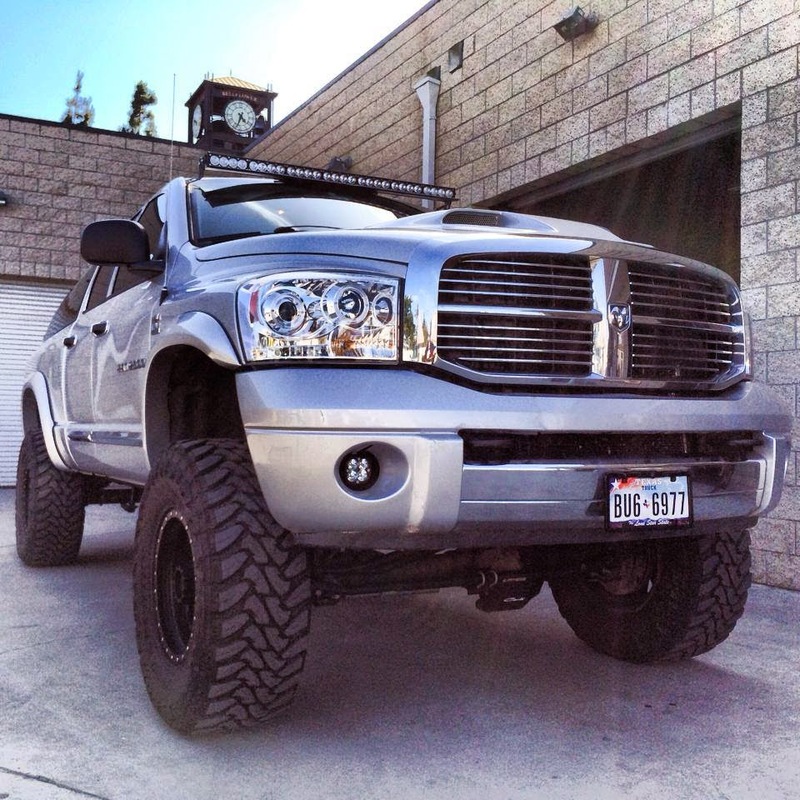 Baja Designs Squadron Driving Lights provide light down low using our CJC Off Road 30" OnX Brackets. 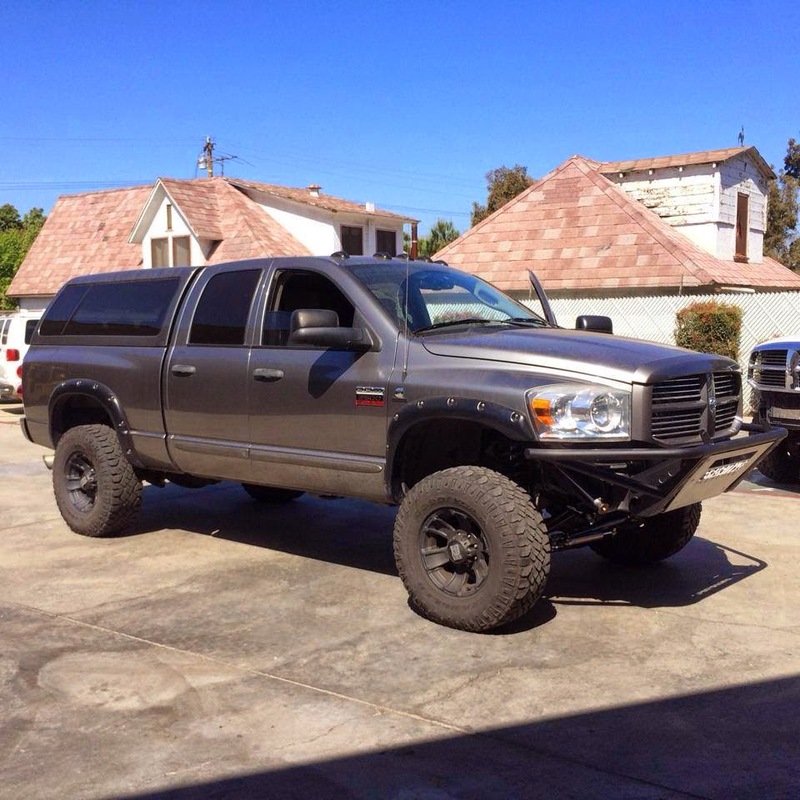 This 2008 Dodge Ram 2500 features a Carli Suspension Bilstein 2.65 ACV Suspension System, Carli Suspension Heavy Duty Control Arms, Carli Suspension Full Progressive Leaf Springs, Carli Suspension Torsion Sway Bar, 17" XD Series Wheels, and Good Year Wrangler 315/70/17 tires. This truck also features a custom front bumper courtesy of Creative Fabworks. This 2005 Dodge Power Wagon features Carli Suspension Multi Rate Coil Springs, a Carli Suspension Adjustable Track Bar, Carli Suspension Heavy Duty Control Arms, Bilstein 5100 Shocks, DT Pro Fab Dodge Power Wagon End Links, a DT Pro Fab Steering Brace, and Toyo Open Country MT 35x12.5x17 tires.